Ann Huckle Mallek is a farmer and educator representing the White Hall Magisterial District on the Albemarle County Board of Supervisors. 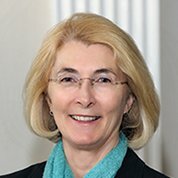 Ann focuses her civic attention on land use and transportation, serving on the ACE and CHART committees since 2000; the Transportation Working Group, 2005; and the Development Review Task Force, 2006-present. As an officer of the Earlysville Area Residents’ League, 1995-2007, she encourages citizen involvement in local government. Ann grew up in Albemarle County and graduated from Albemarle High School in 1967. She graduated from Connecticut College in 1971 with a B.A. in Zoology. Since 1983, Ann and her husband Leo have lived on their farm in Earlysville where they raised their two daughters. The farm produces grass-fed beef and pesticide-free vegetables. Ann is an Educator/Coordinator for the Virginia Museum of Natural History. She was elected to the White Hall seat on the Albemarle County Board of Supervisors on November 6, 2007.